Sick of stumps? Try our surprising solution—featuring a common bath product—to rid your yard of troublesome tree remains. Removing a tree from your yard can be a tricky and expensive process, but it’s especially frustrating when you still wind up stuck with a stubborn stump. Sometimes, when its vast root system continues to send up leafy shoots, the stump will continue to grow rather than decompose long after the tree is cut down. 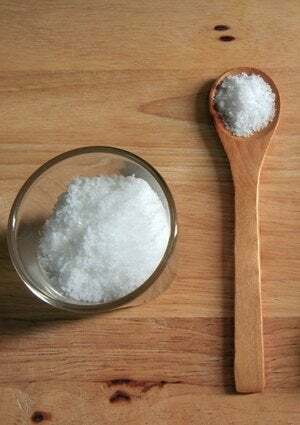 Fortunately, there’s a favorite bath-time essential that moonlights as an easy stump solution: epsom salt. (Don’t have any? Buy it on Amazon). Once equipped, you can easily—and naturally—remove the stump eyesore from your yard. Start by using a power drill to drill holes that are at least a quarter of an inch wide, about 3 inches from the outside of the stump. Drill into the stump as far as you can, placing the holes at least an inch apart. When you have drilled as many holes into the stump as possible, fill them with Epsom salt and then add enough water to saturate the minerals without spillage. Finally, sprinkle Epsom salt around the entire base, and finish by covering the stump with a tarp to prevent rainwater from washing any of your secret ingredient out of the holes. 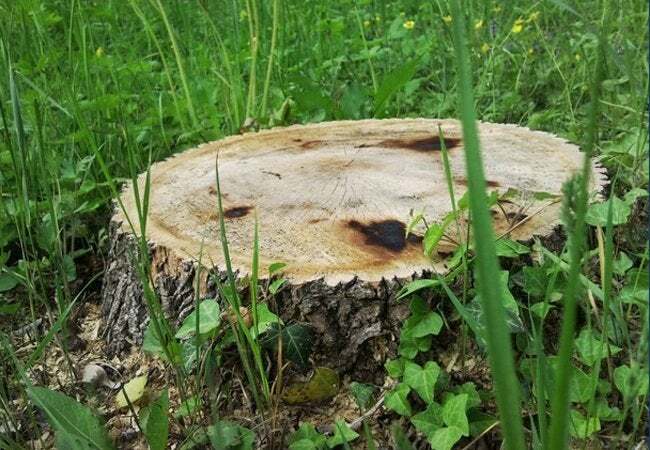 Although it could take up to a month or more, the solution should eventually cut off the moisture supply to the roots, allowing you to pry up the tree stump and get rid of its intrusive presence for good.